karolisII started a topic any new server?? Max enchant (+50 With crystal from +40). Simple enchant scrolls chance - 80%. Blessed enchant scrolls chance - 95%. Crystal enchant scrolls chance - 100%. No Weight Penalty. Class Masters Enabled. Duel System. All Skills Working. Enchant sysemt +5 to +10 from 5 to 5. General Info: Easy Farm, PvP Balance, PvP Events, Custom Items, Mass PvP! Easy Farm, PvP Balance, PvP Events, Custom Items, Mass PvP! Custom Items stats are based non-custom items stats, just little bit boosted, it wont make any disbalance. In-game working vote reward system. After server start you can vote for server and automacilly be rewarded. So get ready for server start and for voting! In our server we delete all old Interlude skills! Max weapon enchant +25, Safe +3. Max armor enchant +10, Safe +3. We revive RIFT system to farm echant scrolls inside. Comfortable Gate Keeper with teleports to all raid-bosses and locations. Introduction of suggestions from players. Fully new mechanics of PvE and PvP. Focus on applying damage from skills. Team play more comfortably with new skill mechanics. Inside group you gain extra experience. All classes have new active and passive skills (old skills removed). Skill auto-lerning at 40 level when you select the profession. All classes have self passive skills to special type of weapon and armor. For example: Archer = bow, Tank = 1-h sword, Assassin = dagger, etc. At 80 level all gain extra-passive skills. After 85 level all gain passive skills with НР/СР/MP. Dear Friends! 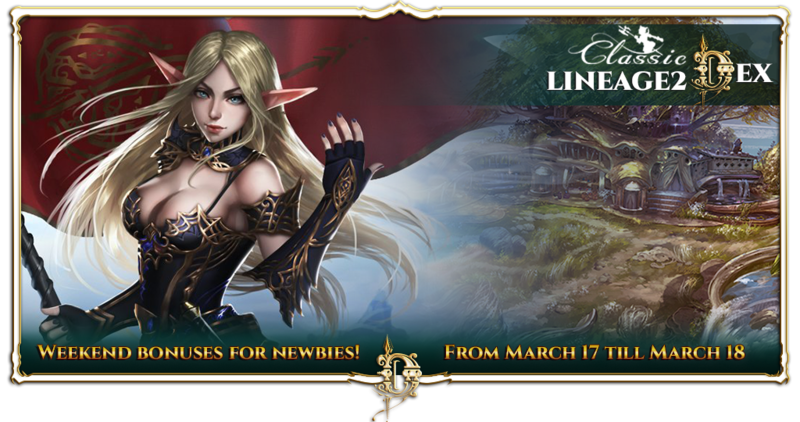 If you are bored to play on your old server and you are looking for new start, it's a perfect time to join the Classic x4 Insolence server. Only this weekend all newcomers will receive a bonus for easy start! L2Anima (C1) Old School gaming! Check out playinera, its a new mid rater server that has features unlike anything ive seen on a private server in a while. The staff have proved they are caring and very competent, plus they listen to player feedback, cant ask for much more! The server launches Saturday so its perfect! » Simple scrolls – 65%. » Blessed scrolls – 75%. » Buff 2h Slots 30+4. Game clients quantity-control launched from the same hardware. An ability to ban the hardware. Inactive accounts to 3 months, will be deleted. Our administrators, try to keep the server as fair and balanced as possible. With everything we are against any change in skills and classes, to preserve as much of the original game, however, added a few methods needed for a PvP server. Preserve much to stay and satisfaction of our players on the server.